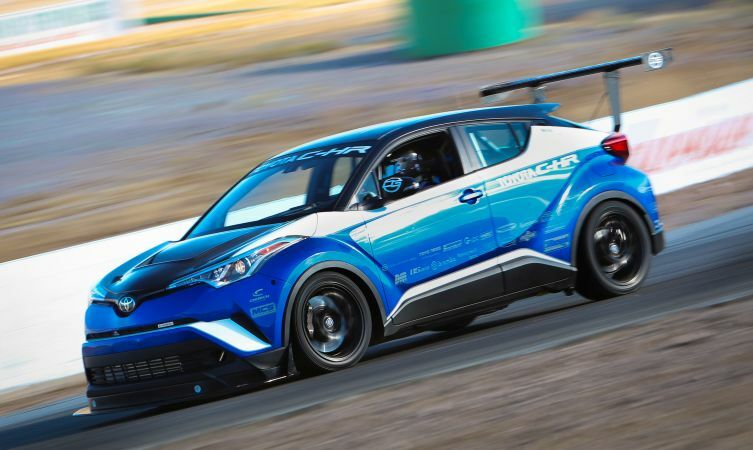 What looks like a Toyota C-HR but is faster than most supercars around a race circuit? 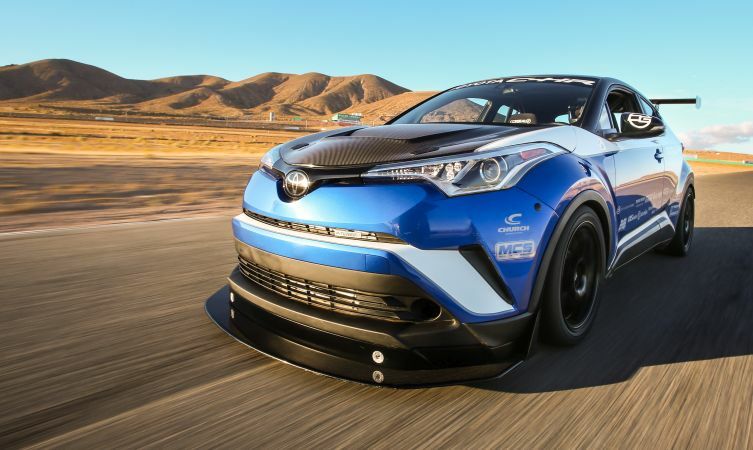 The answer is the daring new 600bhp Toyota C-HR R-Tuned concept, revealed today at the annual SEMA aftermarket tuning show in Las Vegas, USA. 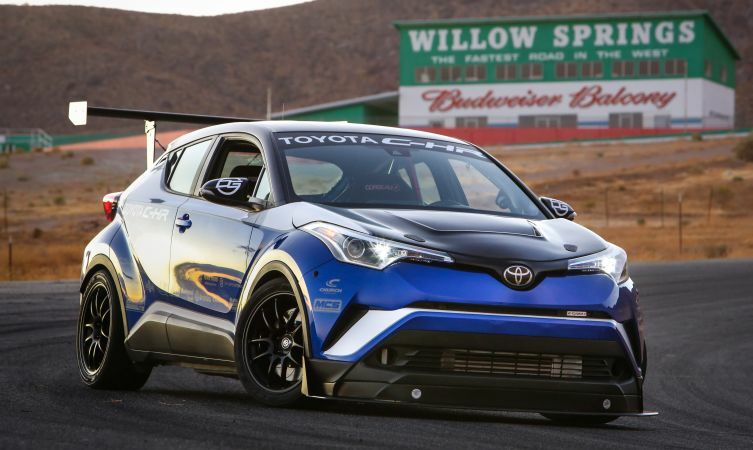 As the highlight of Toyota’s 18-car display of tuned and modified vehicles, the one-off R-Tuned concept was designed to take the production C-HR’s inherent dynamic qualities and wind them up to the maximum. In fact, such is the exploitable nature of the vehicle’s TNGA chassis that the project has exceeded the development team’s aspirations and will no doubt upset the supercar establishment. 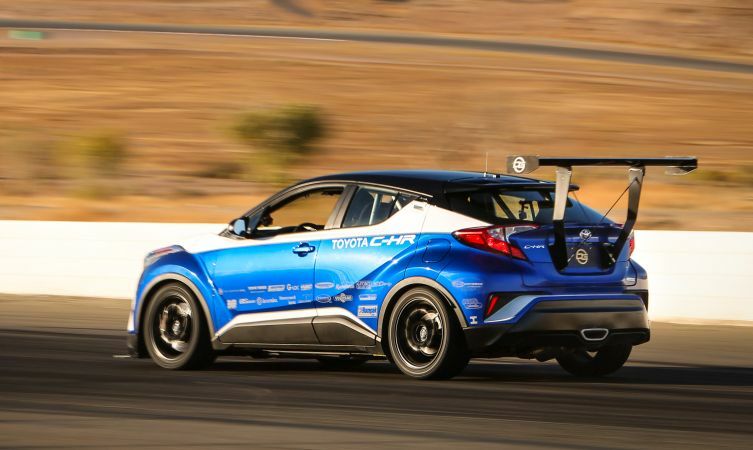 Having set a phenomenal 1:25.22 hot lap of California’s 2.5-mile Willow Springs race circuit, the C-HR R-Tuned concept can not only assert itself as the world’s quickest crossover but faster than all but five sports car exotica, according to the independent fastestlaps.com website. 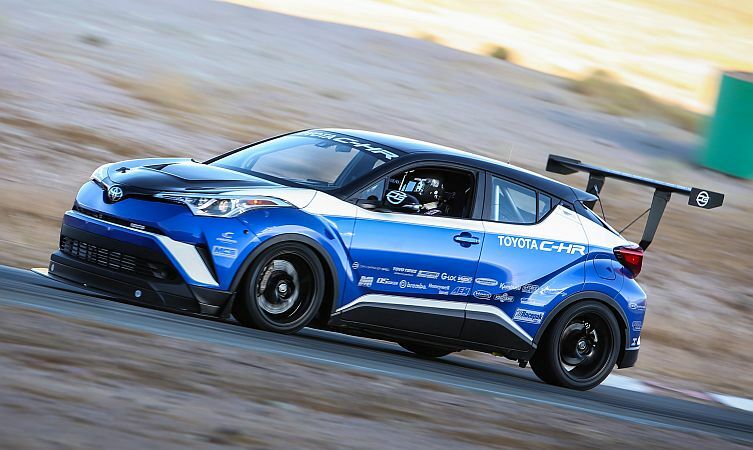 Incredibly, the C-HR R-Tuned remains entirely front-wheel drive, although it now features a limited-slip differential to mediate torque between the wheels, race suspension and substantial aerodynamic enhancements. 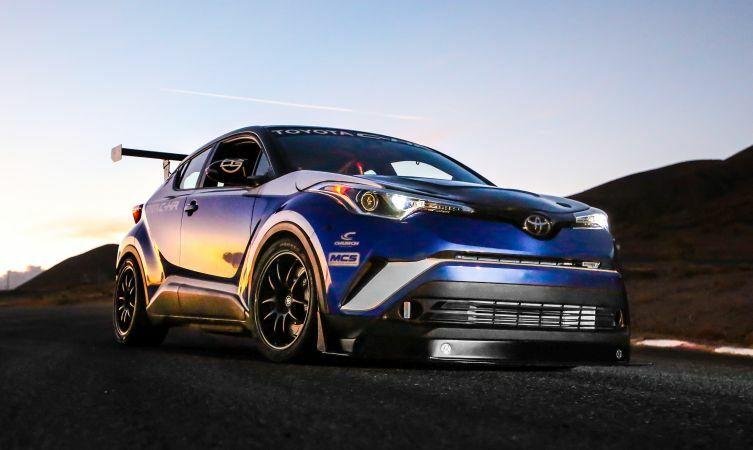 And these components have an immense job to do, given that the vehicle’s all-Toyota powertrain now produces upwards of 600bhp. Under the bonnet lies a 2.4-litre four-cylinder 2AZ-FE engine (closely related to the unit found in the current RAV4 Hybrid) with forged and uprated internals to cope with the 23psi of boost pressure delivered by a custom Garrett turbo setup. This is mated to a Toyota E-series five-speed manual gearbox in place of the original continuously variable transmission. 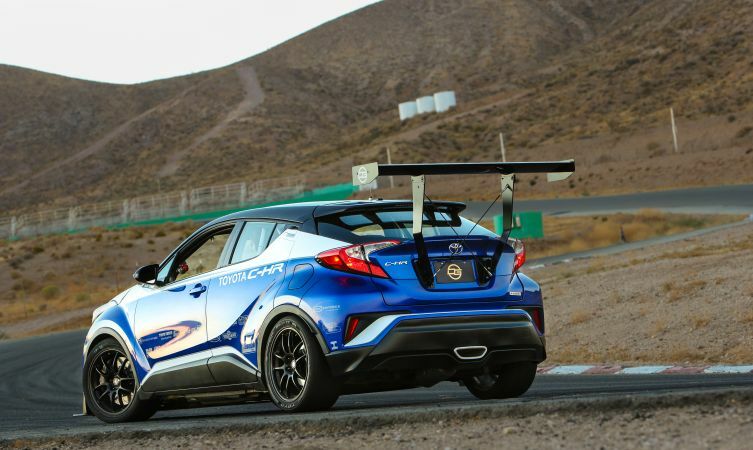 The C-HR R-Tuned can be found on Toyota’s stand at the SEMA show, held at the Las Vegas Convention Center from from 31 October to 3 November 2017. 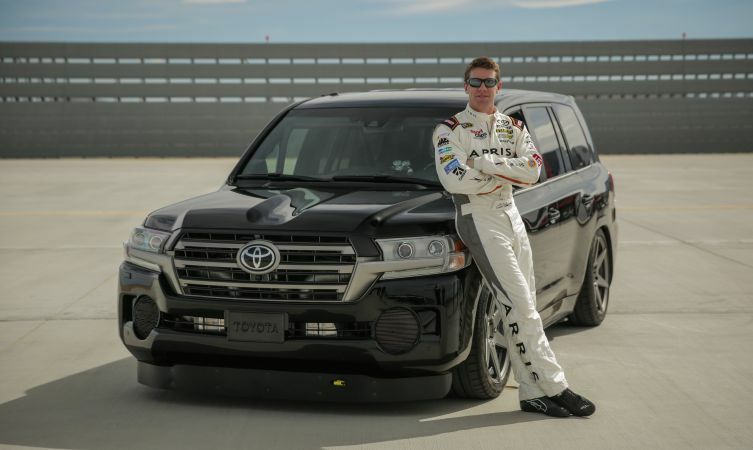 This project follows last year’s genre-defying SEMA concept (above) by Toyota, which saw the inimitable Land Cruiser set a new land speed record to become the world’s fastest SUV.